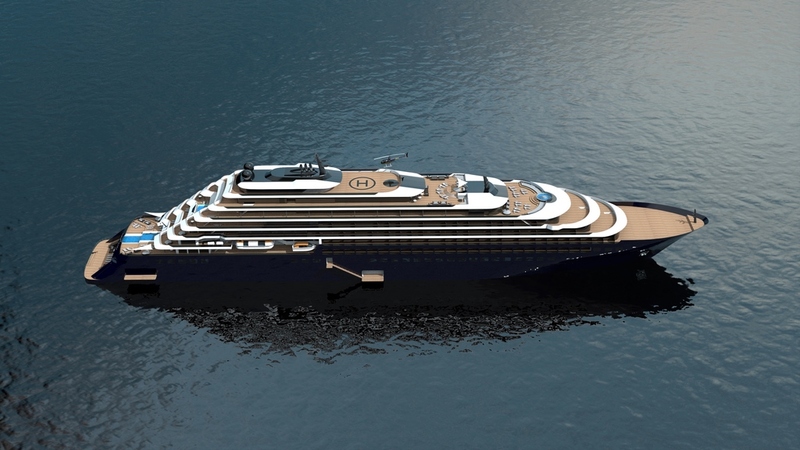 The Ritz-Carlton Yacht Collection today announced eight key senior executive hires. Jethro Beck has signed on as Senior Director of Marine Operations. He is responsible for providing strategic vision and oversight of the entire marine and technical operation of The Ritz-Carlton Yacht Collection vessels, including environmental compliance and safety. With over 20 years of professional maritime experience, Beck spent the past several years as Director of Marine Operations for Holland America and Seabourn. Matthieu Godard has been hired as Culinary Director. In this role, Chef Godard is responsible for all culinary activities including menu planning and execution to deliver a unique, destination driven culinary program for The Ritz-Carlton Yacht Collection. Chef Godard spent several years working as Executive Chef under three Michelin starred Chef Daniel Boulud and most recently held the position of Culinary Director and Executive Corporate Chef for Bagatelle restaurants worldwide. Matthew Kiner joined as Senior Manager of Food and Beverage services, with responsibility for supporting the day-to-day operation of the onboard restaurant and beverage program. His extensive background in hotel and food and beverage management includes over nine years at Ritz-Carlton properties in Florida and California. Soren Krogsgaard joins the company as Vice President of Newbuilding and Marine Operations to oversee and direct the newbuilding site teams and all matters related to marine operations. He brings over 25 years of management expertise in technical operations. Most recently he served as the Senior Project Manager for two cruise vessels under construction for Costa Cruises Asia. Mario Martinez has been brought on board as Manager of Purchasing. With 20-plus years experience in purchasing and logistics, he is responsible for overseeing all supply chain activities for The Ritz-Carlton Yacht Collection. His background includes purchasing management roles with Silversea Cruises and a number of luxury hotels, including most recently Miami’s Nobu Hotel and Eden Roc. Laura McCauley has signed on as Manager of Quality and Training. With over 12 years experience in human resources, training and development, she is responsible for delivering immersion training on the culture and philosophy of The Ritz-Carlton to the shipboard teams. McCauley spent several years in human resources at Celebrity Cruises, and most recently she was the Assistant Director of Human Resources for The Ritz-Carlton, Grand Cayman. Celine Moore has been hired as Manager of Enrichment. As leader of the enrichment program, she is responsible for developing and planning comprehensive onboard enrichment activities highlighting the history, arts and culture of each destination, as well as Ritz-Kids® programming. Moore brings experience from the arts and culture sector and the marine industry, including operating experiential youth programs at sea. Most recently she was the marketing and outreach manager for Toronto’s Regent Park Film Festival. Reena Vadher joined as Senior Manager of Procurement, responsible for leading the procurement team and managing the procurement processes for The Ritz-Carlton Yacht Collection. She brings over 15 years of technical procurement and sales management experience with such companies as MSC Cruises and Royal Caribbean International.